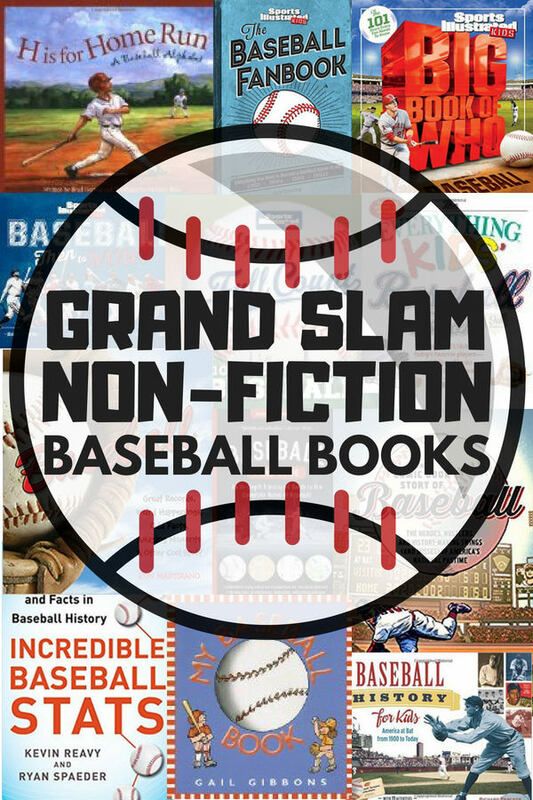 Non-fiction Baseball Books that are a Grand Slam! Take me out to the ball game! It is spring and you know what that means . . . baseball season is upon us. Get some great non-fiction baseball books to share with your baseball fan and make reading together a part of the season enjoyment this year. 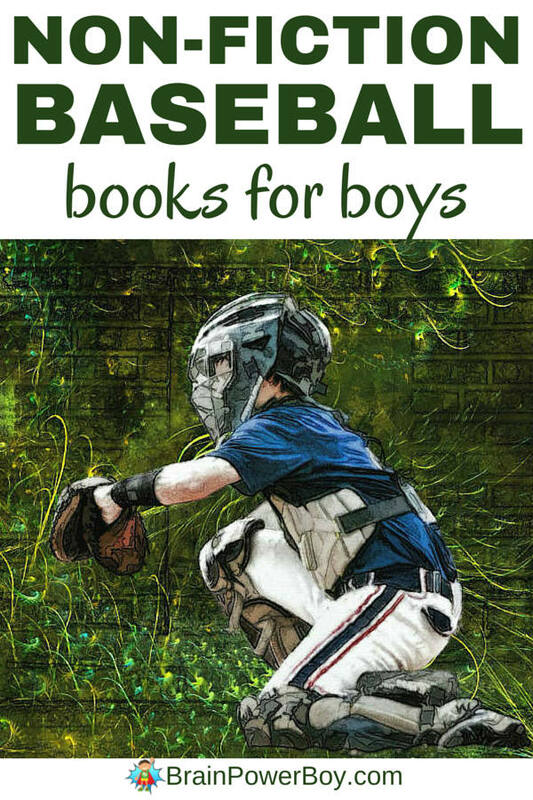 We selected some of the best books for boys about baseball. These books are a great way to get your guys reading. 1. Young baseball fans will enjoy the informative My Baseball Book by Gail Gibbons. She does a great job of explaining the basics of the game. Her books are always a great place to start when reading about a topic with young children. 3. The Everything kids’ Baseball Book covers, well, everything! It has history, the leagues, the teams, stats, records, players, fantasy baseball, and much more. This book has hand-drawn illustrations and a lot of text so keep that in mind if you have a more visually-oriented boy, but it is packed with baseball goodness. 4. For a book that covers the history of baseball through today, Baseball: Then to WOW! is a good choice. It includes both illustrations and photographs. There are stories and trivia covering the game and they even mention hot dogs (or ballpark franks,) baseball cards and more. Nicely done. 5. Baseball History for Kids is a good choice for older boys who are interesting in learning about the details behind the game. One neat thing about this book is that it includes 19 activities for kids to do. 6. If your boy is a fact hound and loves stats he will really go for Full Count. It features top 10 lists and list books are awesome for boys! Here are just a few of the lists: hardest throwers, powerful sluggers, fastest base stealers, best ballparks and so on. 7. I went back and forth on whether to add this book. Mind you, the book is excellent, it is just a little older as it was published in 2010. So, newer players will not be included, but I added it anyway because DK non-fiction books are excellent and are a hit with boys. Baseball Eyewitness by DK is worth a look. 8. The Baseball Field Guide is an “in depth, illustrated guide to the complete rules of baseball.” This book is the revised 3rd edition. If your boy wants details on the rules of the game this is the book for him. 9. Baseball: Great Records, Weird Happenings, Odd Facts, Amazing Moments & Other Cool Stuff is packed with facts, trivia, records, strange things, and more. 10. This title is simply perfect for boys who like the graphic novel style book. The Comic Book Story of Baseball: The Heroes, Hustlers, and History-Making Swings (and Misses) of America’s National Pastime covers all things baseball but in an easily approachable and interesting way. Click the link to take a look inside the book to see if it is a good fit for your boy. 11. Did you know that stats are a great way for boys to learn math? Totally true! So, this book serves dual purposes, it gets them learning math, and reading at the same time. How’s that for a grand slam?! Try Incredible Baseball Stats: The Coolest, Strangest Stats and Facts in Baseball History. That sounds fun! 12. The Big Book of Who Baseball is for kids who want to know all about the stars of the game. There are over 100 players featured in this book by Sports Illustrated Kids. From the baseball greats to the players who are killin’ it today, they will learn all there is to know. 13. Does your boy consider himself a hardball know-it-all (in a good way!) or does he want to be one? Either way grab The Baseball Fan Book and he will be happy! If your guys are into baseball you can combine their sports interest with books for a reading home run.